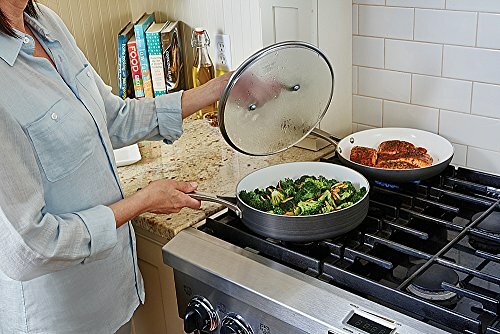 Save time in the kitchen with the Calphalon Classic Ceramic Nonstick 11-Piece Cookware Set, featuring pots and pans with convenient fill lines, straining covers, and pour spouts. 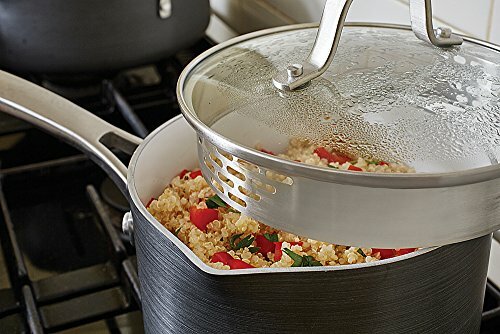 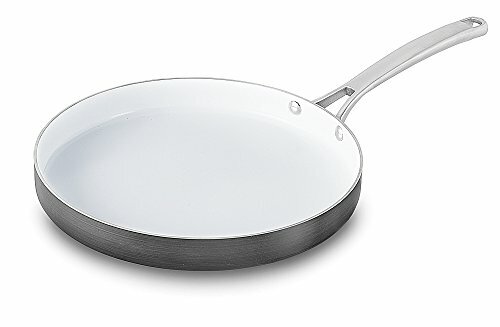 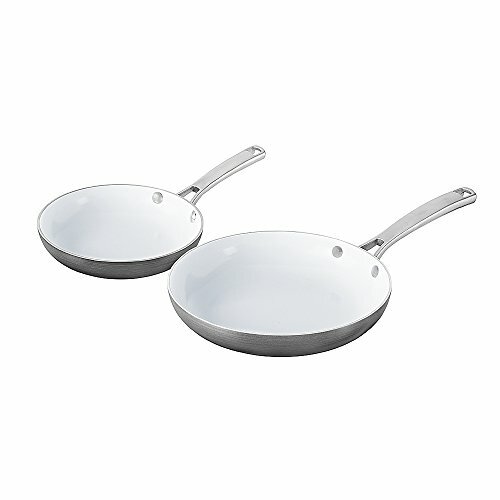 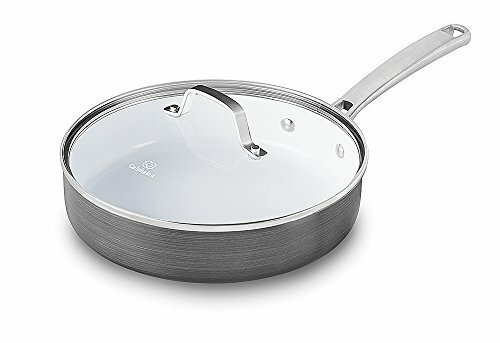 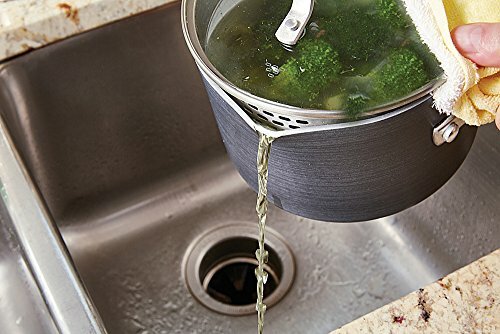 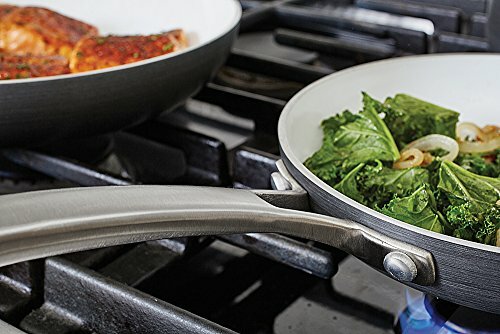 Pans are made with , PFOA-free ceramic nonstick for extra-easy food release and cleanup, and are constructed from durable hard-anodized aluminum for fast and even heating. 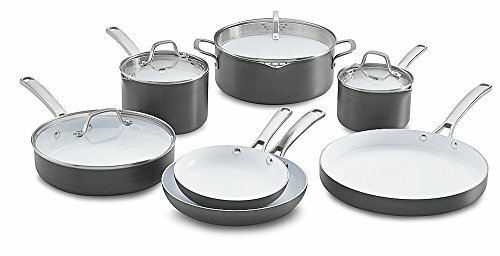 The 11-pc. 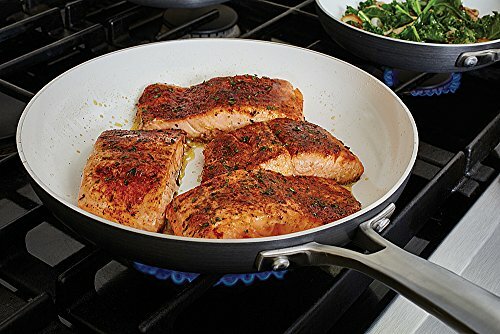 ceramic cookware set includes a great selection of fry pans, saucepans, a sauté pan, and more so you can cook eggs, sear chicken, prepare sauces, whip up pancakes, and prepare other favorite foods.